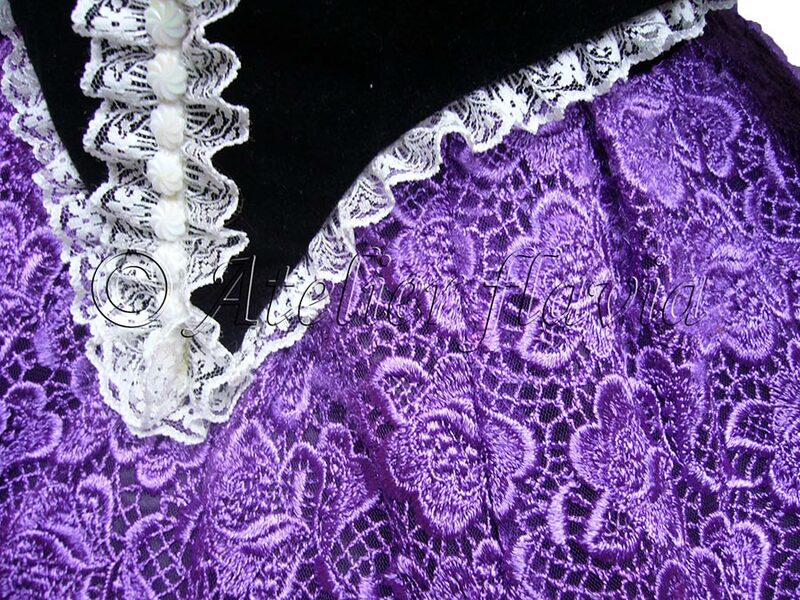 Costume: polyester lace, polyester velvet, polyester satin, polyester satin lining, plastic pearls. Hat: polyester lace, plastic pearls, plastic flower, straw base. Handbag: polyester velvet, polyester lace, plastic pearls, polyester satin lining.